We’ve all been there. You pick out that stylish set of bedroom furniture only to have it delivered and realize it doesn’t fit through your front door. You want to hang on to your kids’ old artwork and school books, but they end up gathering dust in a messy stack on a shelf in the corner. You buy that new outfit, only to get home and find out your wardrobe is already busting at the seams so you’ve nowhere to keep it. Thus, the ‘floordrobe’ is born! Sound familiar? Luckily, you’re not the only one who’s suffering from a lack of storage space. The key to solving this problem is not only finding storage solutions for all your junk, but also in making sure that those storage solutions take up as little space as possible. Some pretty smart design gurus have been looking into this, so it seems like pretty much every day a new awesome space saving idea comes into fruition. I’ve put together 13 of the best, most innovative, quirky space saving furniture and storage ideas that will revolutionize your home! Who else has bought furniture to go into a new house, only to sell the place and discover that your cool new furniture doesn’t fit in your new place? I have, and it’s an incredibly disappointing and frustrating feeling. 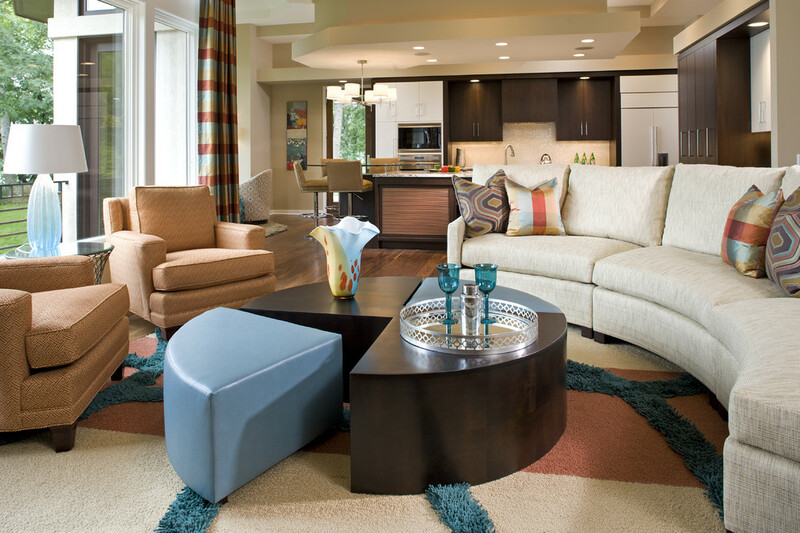 Modular furniture is your answer. 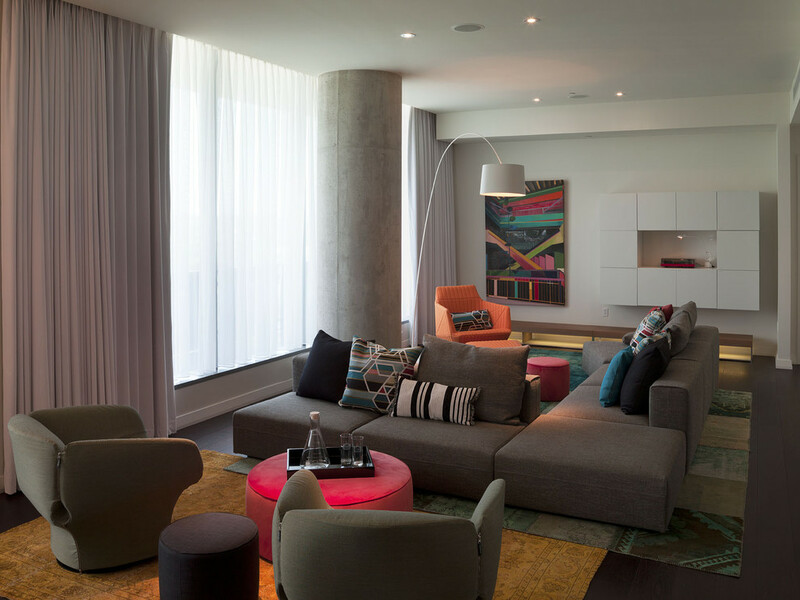 In case you’re not sure what that means, it’s basically furniture that’s made up of a number of smaller sections which can be placed together in a variety of combinations. Take your standard three-seater sofa, for example. It usually comes in one large piece, but imagine that each seat was actually made individually. You could then put all three seats together to get the full effect, or you could remove a section to have a two-seater and an armchair. You could even keep the three sections separate for three individual chairs! That’s the concept behind this modular sofa and table set. The table actually slots into the structure of the chair itself, so that part of it can act as a cross between an armrest and an occasional table. If you pull it out, however, it can act as a standard coffee table. Sections which are designed to slot underneath the table can also pull out to act as footrests or smaller stools. The possibilities with modular furniture are endless. 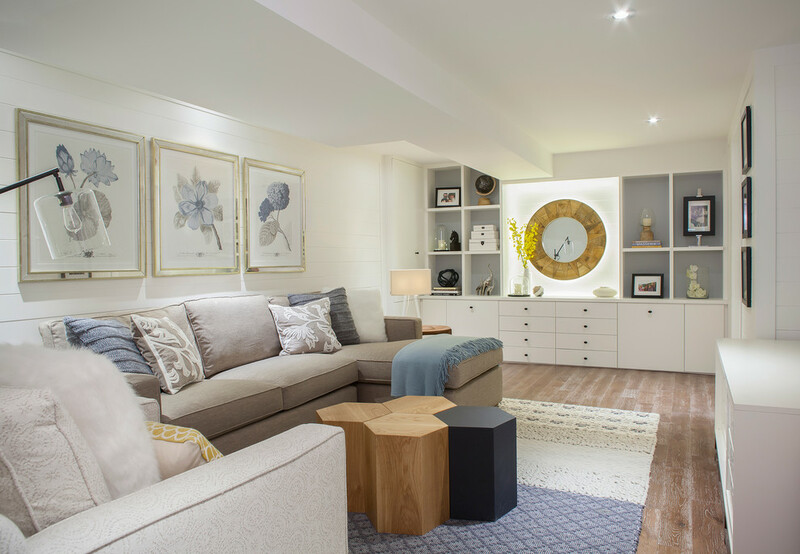 It maximises the number of options available to you in your home, while using up the smallest amount of space. This is a must-have idea for anyone living in a small apartment, or for anyone who’s worried about where they’ll put all their furniture in future accommodation! As someone who works at home, I know the struggle of trying to find suitable storage space for important files and documents. Finding space for dedicated shelves or cabinets isn’t always easy, but it looks messy to leave them stacked up beside the computer. Legroom underneath standard desks isn’t usually big enough to accommodate anything else, either. The same can’t be said for this desk. Instead of using four legs, one in each corner, which run straight down to the floor, this desk is designed more like a picnic table, with legs that cross each other. There is a central beam running horizontally to join the two pairs of crossed legs up. Photo by Beyond Beige Interior Design Inc. 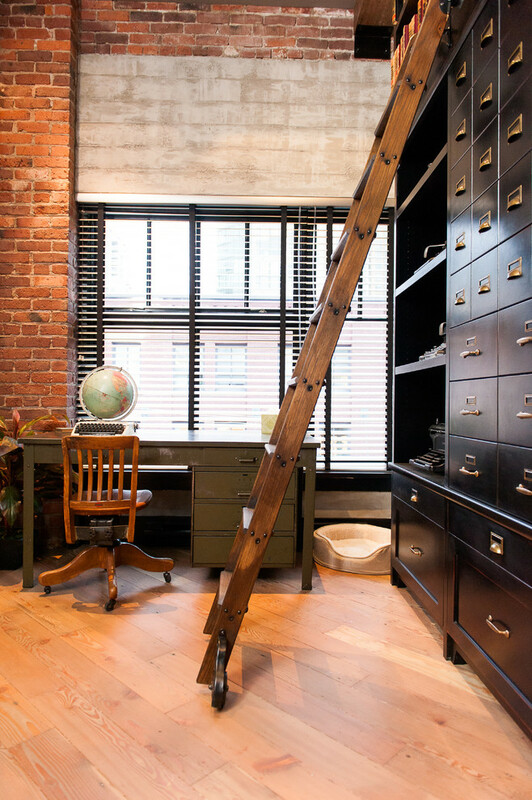 This simple design change might not seem like that big a deal, but it opens up a whole extra area of space for storage that isn’t available with standard desks. The horizontal bar acts as a support onto which you can create an angled shelf for stacking books, files, and anything else you can think of. The design means that it doesn’t affect the space which your legs fill, meaning that you can sit and work comfortable while storing your files neatly at the same time! 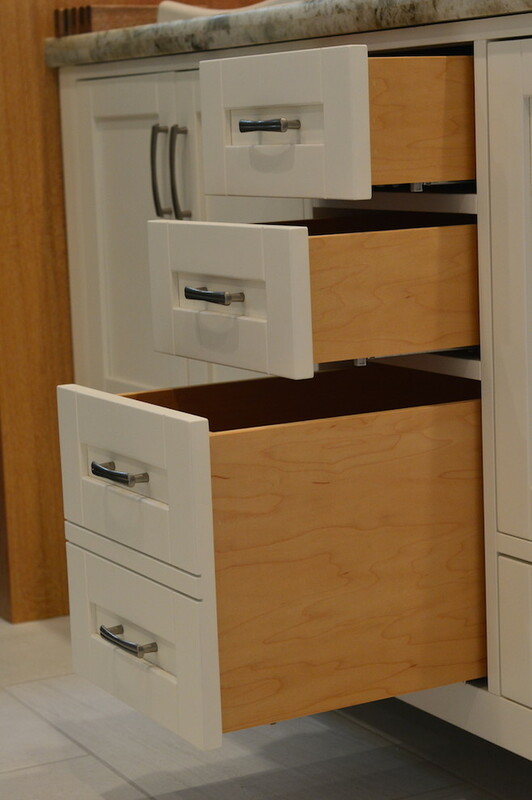 If you ask me, fake drawers are some of the most annoying, pointless things ever invented. 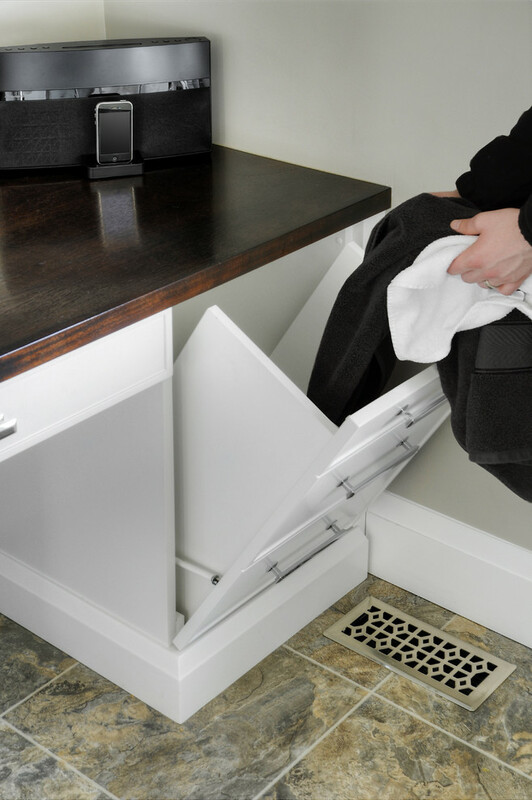 Kitchens and bathrooms need all the storage space they can have, so to fill buyers’ minds with hope of plenty of drawers, only to later discover that they don’t even open is highly frustrating. Usually fake drawers are placed in front of unusable space – like just below a sink – so there isn’t enough room for a full drawer. However, that space isn’t as unusable as you think. You might not be able to fit a proper drawer in there, but there’s usually at least a small amount of space behind a fake drawer which is currently being wasted. It’s very easy to fix a small compartment to the back of the fake drawer, in which you can store all sorts of odds and ends which would probably just end up getting lost at the bottom of another drawer somewhere else! When you’re done, all you have to do is flip the front of the fake drawer down, and your extra storage space will be revealed. Not only does this idea free up space elsewhere, but it also turns the dreaded fake drawers into things that are actually quite quirky and practical! I use the space to store the smokers pellets in the winter. 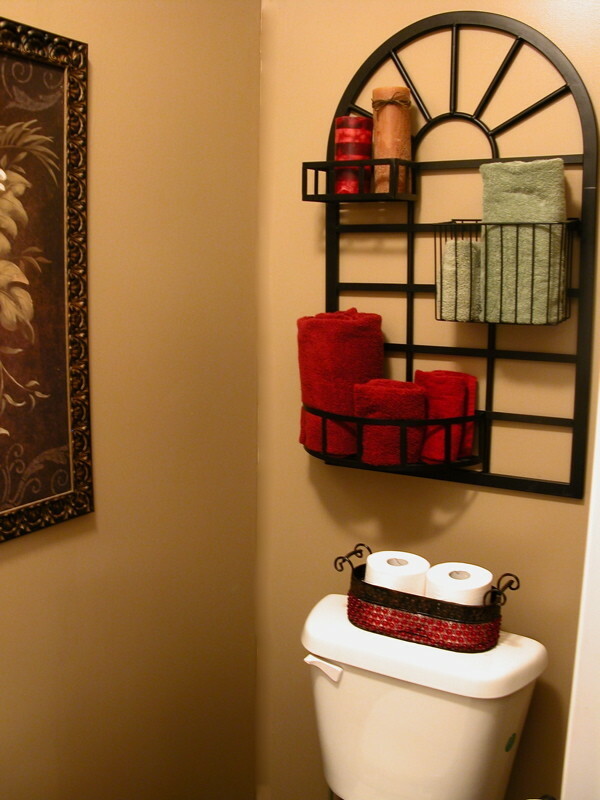 Bathroom storage space is a contentious issue in many homes. Either there’s not enough shelf space to put all your lotions and potions, or there aren’t enough cupboards to store towels and other laundry items. However, what most people don’t realize is that you’re actually surrounded by storage space all the time. 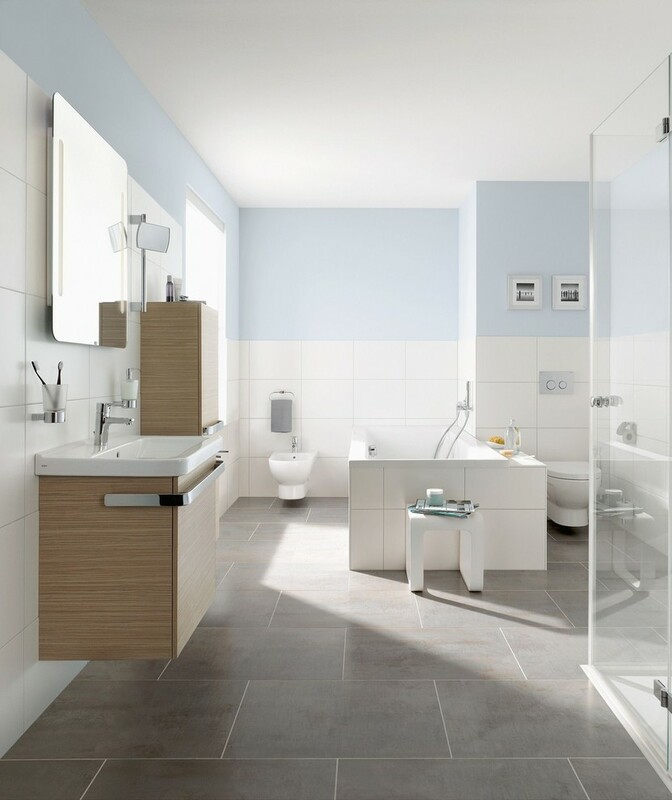 The beauty of bathrooms is that they don’t usually contain any furniture, so any free wall space is blank, open and waiting to be used. Even if a patch of wall isn’t big enough for a shelf or a cupboard, it’s still big enough for a storage solution of another kind. Try connecting small pots and vases to the wall above the sink and around the mirror. There are many different ways to do this; a good hardware store should be able to offer you a few suggestions. In these pots you can store everything from your toothbrush and toothpaste to your favorite hairspray – and maybe even all those loose hair clips that usually get strewn around every available surface. You guessed it – storing these smaller items in this way will open up extra valuable space on the few shelves and surfaces that you do have, which you can keep clear to give you a relaxing, clutter-free environment. Alternatively, you could just fill that space up with even more creams and gadgets! 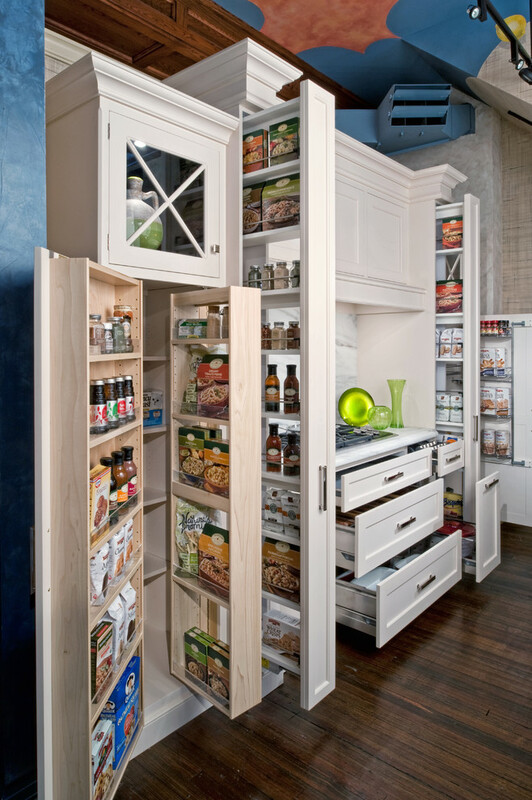 This is a really practical solution which makes use of every available space. However, if you choose really fun or stylish containers then they can make a real statement, as well. Having a collection of funky storage surrounding your bathroom mirror will create a focal point to the room that will draw your attention away from the boring realities of bathroom life! This has got to be one of the most ingenious space saving ideas that I’ve ever seen. Most of our homes are built with fitted kitchens; they’re there when we move in, they rarely change and they look exactly the same when we move out a few years later. However – dare I say it? – a kitchen that isn’t fitted might end up being an even more practical solution. In real terms, what exactly does this mean? Well, I’m talking about keeping the kitchen worktops exactly as they are. You always need a steady surface to work on. You can keep the wall mounted cupboards the same, too. The difference is the cupboards on the floor. Instead of having your base cupboards fixed in place, design them so that they can slide out from beneath your work surface. It is important that they fit neatly beneath the work surface – your kitchen worktop must remain in one long, solid piece. In doing this, you will be creating a mobile unit. This unit can have a variety of uses – for example, being able to wheel your utensils and appliances to be closer to you will save you from walking to the other side of the room time and time again. However, by far the biggest benefit to creating a pull-out unit like this is that it will give you a whole load of extra kitchen worktops! After all, your unit will need a top, won’t it? If you design your kitchen so that most – or even all – your base units pull out in this way, you could end up practically doubling the amount of work surface available to you, without having to extend your kitchen at all! If that’s not the most awesome space saving idea right there, then I don’t know what is. 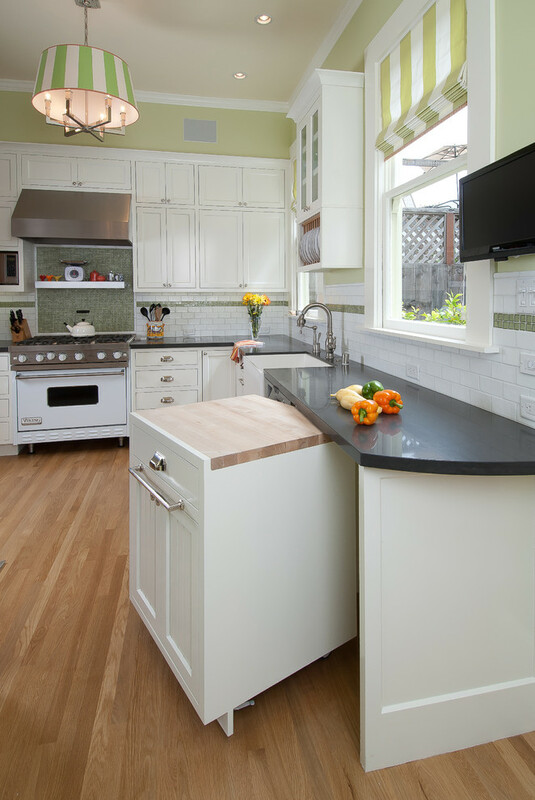 If you want more than utility for your kitchen, consider refacing the cabinets as well.